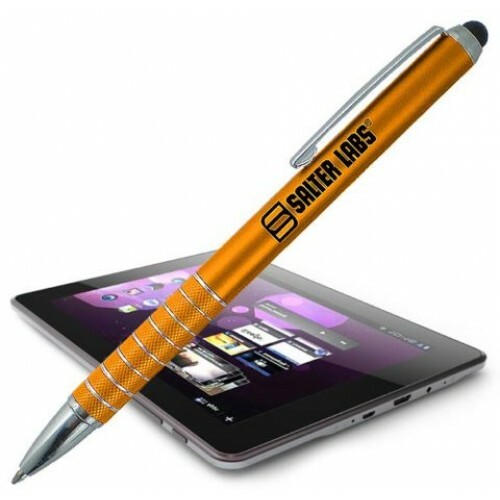 With touchscreen devices becoming the norm, items such as the custom imprinted Wanda Pen with Stylus are becoming the hot new giveaway. 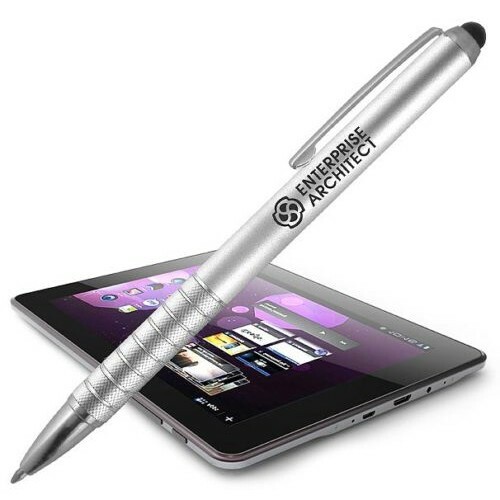 The twist action Metal look ball point pen has a stylus tip top for switching easily and quickly from paper to phone/tablet. Virtually everyone today carries some sort of smart phone. Touch screens also are at virtually every store you shop at. This makes the Wanda stylus twist ballpoint pen a promotional item that will be carried with purpose. The twist action metal look pen is designed with a stylus tip enabling quick switches from paper to a touch screen and back. The Wanda stylus twist ballpoint pen comes standard with black medium-point ink. It features twist action, a metallic colored barrel with an attractive chrome trim. It includes an attention-grabbing chrome tip, clip and barrel accents that will direct the eyes to your company name and logo. 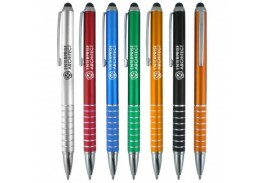 The metallic barrel can be ordered in your choice of black, blue, green, orange or red. It can be screen printed with just one color imprint. The imprint area is 1 ½ by ½. The production time for this pen is 7 to 10 business days. We offer one free proof with an order. You can email your artwork and any instructions to us at info@promowebstores.com. Free proofs are completed within 24 hours and there is no payment until the proof is approved. The minimum quantity for orders is 300 units. Have the pen that everyone is seeking at the tradeshow, drawing crowds to your booth. The Wanda stylus twist ballpoint pen could even end up making you money. We offer everyday low prices and a satisfaction guarantee. You can shop in confidence for the Wanda stylus twist ballpoint pen. 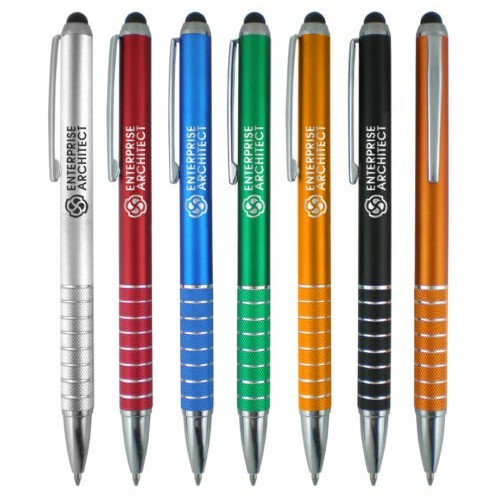 To order, visit the Promotional Pen Store website. We offer secure ordering online and free domestic ground shipping on certain orders. We also have 24-hour rush service available on select products. 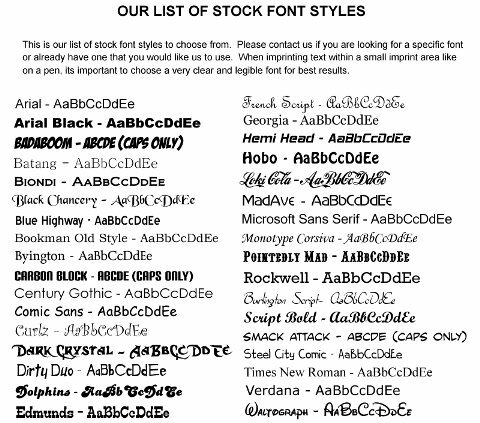 Check with us to see if your product qualifies. If you need more information, our knowledgeable staff can help you out. You can call us toll-free at 800-974-3611. We will answer all of your questions.